The newly renovated Husky Union Building (HUB) is located in the north region of the UW Seattle campus, along E Stevens Way NE. 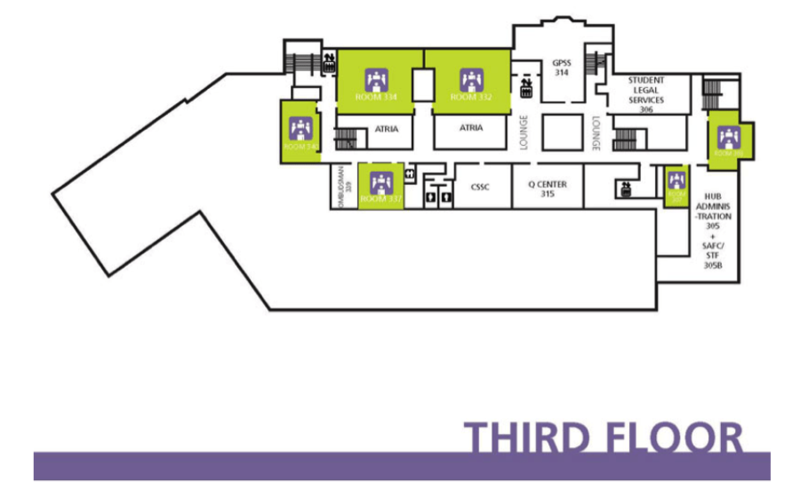 Right down the hall, next to HUB room 337, there is a gender-neutral and accessible restroom facility with a baby changing station! The HUB is one bus away from the University Village shopping complex and “the Ave”, the commercial main street of the University District. It is in near the Allen Library, Mary Gates Hall, Mechanical Engineering Building, Hall Health, Padelford Hall, and the Communications Building.